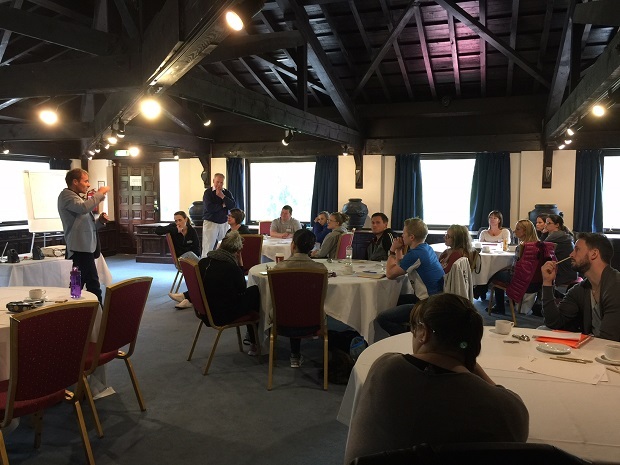 Paul Hall played host on Sunday 7th at the Europa Hotel Gatwick to captivated coaches. Around 20 coaches from over 10 clubs from all three counties took part in the first section of the Regional Conference Series 2017. Paul kept the audience enthralled as he took them through his Olympic journey, the training plans, dealing with parents and the feedback. In the afternoon practical planning, skill progression, strength training principles and the long road to success. Everyone agreed it was a great session which they enjoyed and learnt from. This was the theory section and we are expecting the practical session to be even busier on 7th January at the K2, so book early for this one off experience created by the South East Board.